VIAZ is a decentralized application (“DAPP”) bridging the gap between lenders and borrowers of fiat and digital currencies. VIAZ will employ VIAZ Smart Contracts for transactions initiated on the VIAZ Platform. Just as similarities and differences exist between digital and fiat currency, a closer examination of VIAZ compared to the traditional banking system reveals both converging and diverging characteristics. The first DAPP to run on the Tezos blockchain, a self-amending crypto-ledger, the VIAZ Platform has inherent advantages when compared to other competitors in the bazaar. The VIAZ Platform will connect digital assets, equity, and fiat in ways not previously possible due to boundaries inherent in the traditional centralized banking space. 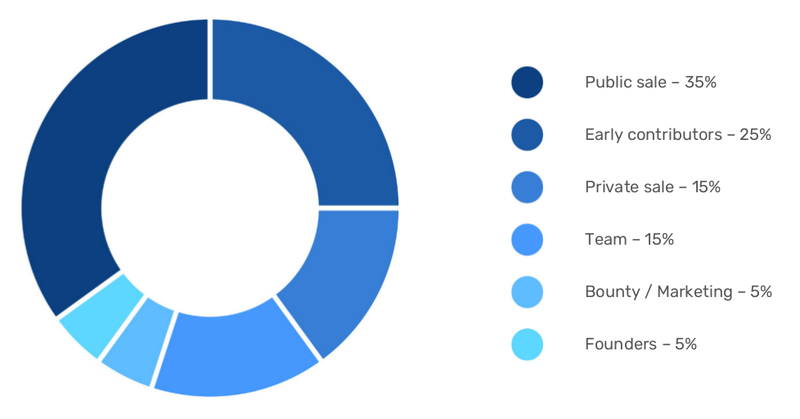 The VIAZ Platform will bring the world closer by dismantling these boundaries and empowering individuals to take control of their own financial destinies. 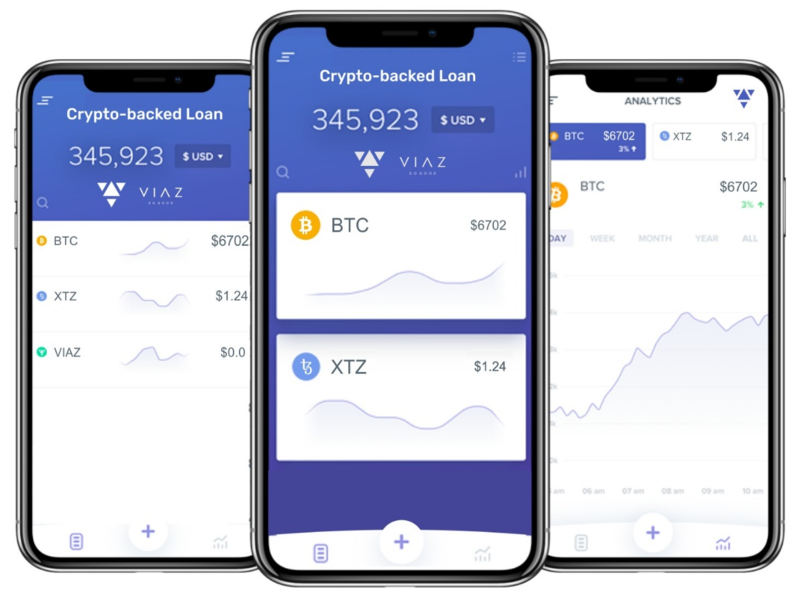 The utility of the VIAZ Platform is to provide a decentralized platform for the introduction of prospective lenders to prospective borrowers, connect its users, and act as a conduit between the cryptosphere and fiat currency. Within the crypto lending space, other platforms currently exist, each with their own utility and functionality. The VIAZ Platform’s aim is to improve upon, and provide a multitude of utility and functionality under one platform. By the time our Token launches, the VIAZ Platform will have a working prototype. The betanet will launch before the Token Launch, and the launch of the mainnet will occur shortly thereafter. The VIAZ Platform will be fully functional at this time. The VIAZ Platform will be issued with ‘VIAZ’-branded debit cards that will be operated by a licensed bank and not by the Company. These cards will be used globally on established debit card payment processor networks. Individuals will be able to select daily and monthly limits on their respective cards. Additionally, users will be able to disconnect cards from their VIAZ Platform accounts in case of a lost or stolen card without having to contact a third party for assistance. VIAZ is actively engaged in conversation with at least two different fiat banking partners. These features will be available on IOS and Android operating systems. Mobile apps will be available to VIAZ Platform users free of charge and will make day-to-day VIAZ Platform operations more accessible. The VIAZ Platform will give lenders the opportunity to bid on funding opportunities based on different interest rates. For example, a borrower can ask for $5,000.00 at 12% per year. It might take a few hours or days to fill the order, but if one lender wants to fund the loan at a higher rate of interest, they will be able to do so instantaneously. This makes the process faster for the borrower, and the lender will have an opportunity to earn more interest. 1) Using Tokens as collateral for loans We want to allow users to utilize their Tokens as collateral for loans on the VIAZ Platform. 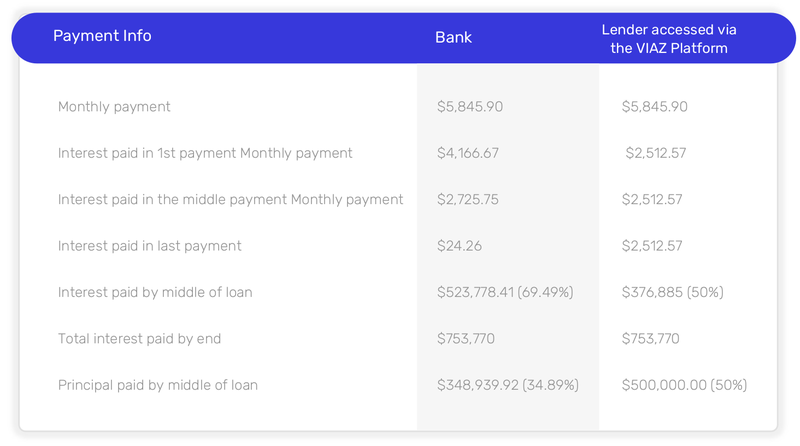 To incentivize this activity, Token-backed loans will incur a reduced service fee (currently this is a 50% discount, although this may change in future). The use of Tokens as collateral will also reduce the available supply of Tokens on the market. 2) Selling Tokens through the VIAZ Platform VIAZ Platform loan repayments are made of three elements – payment on the principal, interest payment and a service fee. The interest payment and service fee must be paid in Tokens (at the fiat equivalent value at the time of the repayment). This generates a demand for Tokens, as borrowers will need to own and/or acquire Tokens to meet their monthly repayments. To assist with this, the VIAZ Platform will allow Token holders to create sell-offers. Users will be able to set the desired price (in USD), and stake any amount of Tokens they wish. This provides instant liquidity, now borrowers aren’t burdened with the hassle of having to acquire Tokens; they can simply make the full repayment in fiat, using the VIAZ Platform to automatically acquire the required Tokens behind the scenes. Understand Airdrops : Free lunch? Are airdrops legit? Previous: CryptoSoul: Play Game. Win battle. Earn Tokens.